Do you struggle every time you try to clean and wash your carpeting? Indeed, it is not an easy task and that is why you should leave it in the hands of the professionals. Every carpet is different and needs different cleaning approach and cleaning products. So if you attempt to clean them by yourself, you will not only spend a lot of time and energy and might not clean them properly, but in fact you might actually damage your carpets if you do not know the secrets we know. 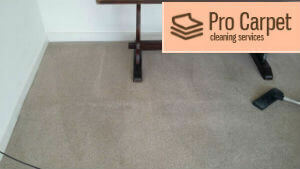 We are a carpet cleaning company in Battersea SW11 and we provide the best carpet cleaning service in the area. We are a reliable company that has been around for years and has hundreds of satisfied clients, whose number grows every day. You can easily be one of them! If you choose us, you will not have to worry about cleaning products or equipment, or having to bring your carpets to us. We will send our cleaners, equipped with everything necessary, to your home and they will take care of any problem your carpets might have. We have made our service very comfortable and affordable to everyone. 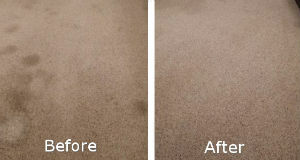 That is why we are the best carpet cleaning service provider in Battersea. You can find our services also in Balham, Barnes, Mortlake and other areas! 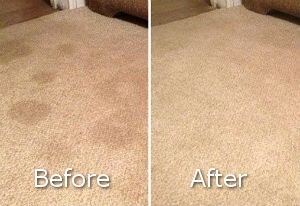 ﻿We offer the carpet cleaning services on low and fixed rates. The equipment is included in the price and there will not be any extra fees on the service! We definitely have the most tempting offers in Battersea! We want to help as much people as possible, so we have a flexible working schedule. You can book the carpet cleaning service at time convenient for you, every day of the week, including on weekends and national holidays! Our professional cleaners are experienced in the cleaning area and give their best in every cleaning task! They are punctual and attentive in their work, so you can safely leave your carpets in their hands! Throughout the years we’ve been a cleaning provider in Battersea, we have established long-lasting relations with a lot of our customers. They are happy with our services and we keep delivering the best of us! You can become one of them really soon, if you book the carpet cleaning service that we offer! We are nature’s friends, so we use only environmentally friendly cleaning products. They are harmless to the condition of your carpets and most importantly – to your health! With the help of our specialised dry and steam cleaning machines, we are able to extract the dirt from your carpets and remove any stubborn stains. Our methods and techniques are very innovative and attentive to the fabrics of your carpets! After the cleaning procedures are done, we deodorise the cleaned areas, so you will not sense any unpleasant smells! Make an appointment with our cleaners and see for yourself! They work very fast and efficiently. They will leave you 100% satisfied with the results. Your carpets will look brand new and the bad smell will be gone for good! If what we offer seems acceptable to you, do not hesitate to call us right away. Contact our assistants to make an appointment for your convenient time and a package that will fit into your budget. Choose the best for you and your carpeting, just like many others in Battersea did, and put their trust into us. We are expecting your call!